Researchers from the NHMRC Centre of Research Excellence in Speech and Language are calling for 3,000 Australians aged seven and above with experience of stuttering (past or present) to volunteer for the nation’s largest ever ‘Genetics of Stuttering Study’. The study aims to pinpoint the genes that predispose individuals to stuttering, which could revolutionise future research into the causes, treatment and prevention of the disorder. Winner of The Voice Australia 2013 who has lived with stuttering since childhood, Harrison Craig, now 23, Melbourne, is teaming with study researchers and those who stutter nation-wide today, to lend his voice to this worthy cause. The Murdoch Children’s Research Institute, Walter and Eliza Hall Institute of Medical Research, QIMR Berghofer Medical Research Institute, Griffith University and the University of Melbourne are coordinating the Australian arm of this international study which involves 10 investigators at eight sites in Australia, the UK and The Netherlands. Recruitment closes December 2019. According to Professor Angela Morgan, Co-Chief Study Investigator, speech pathologist and NHMRC Practitioner Fellow, Murdoch Children’s Research Institute, Melbourne, boys and girls aged seven and above, together with men and women nation-wide who have a history of stuttering, may volunteer for the study. “Globally, one per cent of adults stutter,3,4 and nearly 70 per cent of people who stutter report a family history of the disorder,”2 said Prof Morgan. Harrison’s family first identified his stutter at around four years of age while listening to him speak, and watching him “get stuck” when expressing certain sounds or words. Harrison continued to combat the speech disorder throughout childhood, adolescence, and into adulthood, and still recalls the anxiety he experienced when speaking publicly, or in social situations. Post- diagnosis, Harrison underwent rigorous treatment to learn how to better control his stutter. “My treatment to date, has been effective to a degree, but I’m not sure free speech will ever come naturally to me. The truth is, to simply speak in social situations can be very exhausting,” Harrison said. 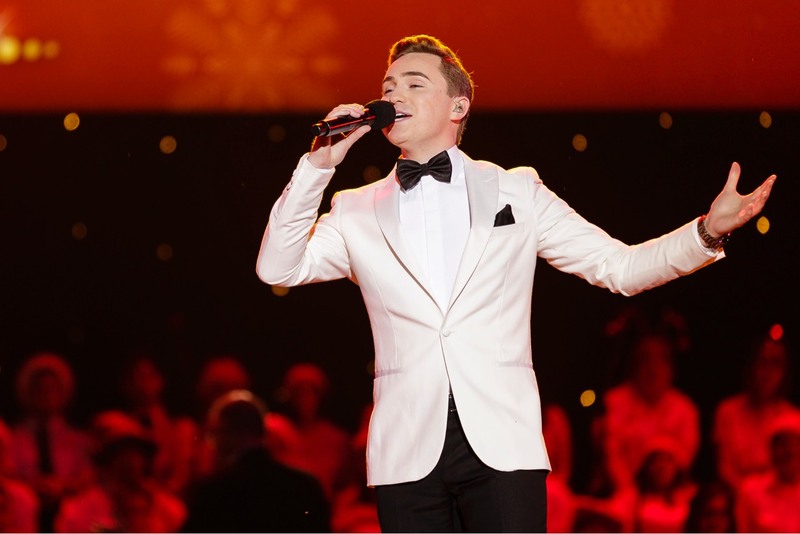 It was through music that Harrison finally found his true “voice”, especially winning The Voice Australia 2013. “To win The Voice Australia was something so special. I was really overwhelmed with happiness when I won,” said Harrison. Harrison is lending his voice to the Australian Genetics of Stuttering Study “to make a genuine difference to the lives of Australians who, like me, live with stuttering. “Very little is understood about why people stutter, but I have faith that Professor Morgan and her associate researchers can make strong progress towards unlocking the mysteries of the human brain, and in turn, stuttering,” Harrison said. Australians who currently stutter, or have a history of stuttering, and wish to volunteer for the ‘Genetics of Stuttering Study’, or to learn more, can head to www.geneticsofstutteringstudy.org.au or email geneticsofspeech@mcri.edu.au. Currently stutter or have a history of stuttering. Sydney-based Speech pathologist and ARC Future Fellow, University of Sydney, Prof Kirrie Ballard said the study outcomes may open the door for new treatment opportunities for stuttering in the future. “By volunteering for this research study, participants will be helping us to identify these genes. “Participation in this study will ultimately help to shed light on how to best treat stuttering before it affects an individual’s confidence and quality of life,” said Prof Ballard. Small business owner and mother-of-two, Lisa, 40, Sydney who lived with a debilitating stutter until adulthood, whose mother also stuttered, is participating in the Genetics of Stuttering Study. “My stutter was too often associated with humiliation and emotional exhaustion, particularly when I had to express something for which I couldn’t manage to find an alternative word. Sometimes I could not even say my own name, address or date of birth! “For many years, I had a genuine fear that I would pass stuttering onto my children, to the extent that I seriously considered not having kids, because I didn’t want them to experience what I had endured, growing up,” Lisa said. Lisa hopes her contribution to the study will make a genuine difference to the lives of other Australians who stutter. “I’m certain any study that aims to pinpoint the genetic causes of stuttering in order to improve treatment options, will prove hugely beneficial to those who stutter, and their loved ones, because current understanding of the disorder is still so limited. “I certainly encourage those who stutter, or have stuttered, to volunteer for this worthy cause, to help isolate genetic markers that may explain the disorder,” said Lisa. “The aim of our study is to identify what genes leave an individual more vulnerable to developing a stutter,” said Prof Morgan. Study participation involves completion of a short, 10 minute online survey, after which volunteers will be asked to record a short sample of their speech. The online survey must be completed by a parent or guardian on behalf of study participants aged under 18 years. Those who complete the survey and meet the study’s eligibility criteria, will be asked to donate a saliva sample, for DNA analysis. Researchers will send a saliva collection kit together with a pre-paid return envelope, to select participants. QIMR Berghofer Medical Research Institute will extract DNA from the saliva samples. Should the participant provide consent for their DNA to be used in future studies, the remaining DNA will be sent to the University of Melbourne for use in future, related genetic studies. *Children aged seven to 17 wishing to volunteer for the study must be supervised by a guardian; children under seven years of age, and those with a speech impairment/stuttering resulting from an acquired neurological disorder (e.g. such as a traumatic brain injury, or caused by a tumour), will not qualify for the study. Australian Speak Easy Association. Treatment (2017). http://www.speakeasy.org.au/treatment/ [last accessed Jan, 2018. Onslow, M. (2017). Stuttering and its treatments, Eleven Lecture. Available at http://sydney.edu.au/health-sciences/asrc/downloads/index.shtml [last accessed Jan, 2018]. The Conversation. Explainer: What is stuttering? (2012) https://theconversation.com/explainer-what-is-stuttering-9560 [last accessed Jan, 2018]. Speech Pathology Australia. Stuttering Fact Sheet. Available for download at http://www.speechpathologyaustralia.org.au/spaweb/Document_Management/Public/Fact_Sheets.aspx#anchor_stut [last accessed Jan, 2018]. Pregnancy, Birth & Baby. Stuttering in Children (2017). http://www.pregnancybirthbaby.org.au/stuttering-in-children [last accessed Jan, 2018]. Perez, H. R., & Stoeckle, J. H. (2016). Stuttering: Clinical and research update. Canadian Family Physician, 62(6), 479–484. Murdoch Children’s Research Institute. About us. Available at: https://www.mcri.edu.au/about [last accessed Dec, 2017]. Murdoch Children’s Research Institute. Research, Centre of Research Excellence in Speech and Language. Available at: https://www.mcri.edu.au/research/centres/speech-language [last accessed Jan, 2018]. VIDEO: The science of stuttering, surprising new research on what causes a stammer. This project is being funded by the National Health and Medical Research Council (NHMRC), and has been approved by the Royal Children's Hospital Human Research Ethics Commitee (RCH HREC Reference Number 37353). If you have any concerns about the project or the way it is being conducted, and would like to speak to someone independent of the project, please contact: Director, Ethics & Research, The Royal Children’s Hospital on telephone: (03) 9345 5044.